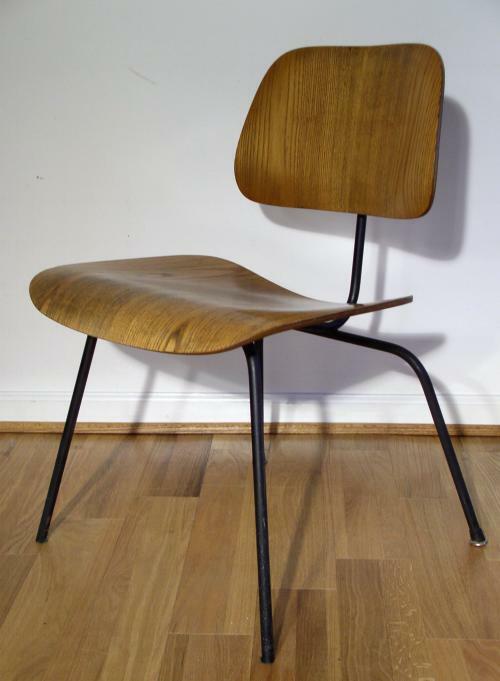 Early final production version of the Eames designed Herman Miller DCM (Dining Chair Metal) in Ash (we think) wood. Incised DCM dated March 1953 with full set of patents. Black powder coated solid bar stock steel frame (not tube). Designed in 1946 with the all wood DCW but may not have been put into general production with final mounting configuration until 1951.